2014年 To Steve Martin in recognition of his extraordinary talents and the unique inspiration he has brought to the art of motion pictures. ^ Sneider, Jeff. 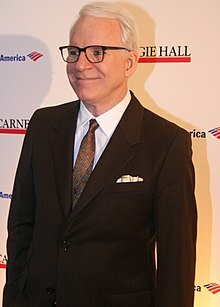 Steve Martin Joins Ang Lee's Sony Movie 'Billy Lynn's Long Halftime Walk'. thewrap. March 3, 2015 [April 2, 2015].